Ajuga; under-rated, but not by me. AJUGA; HERO OF THE GARDEN! 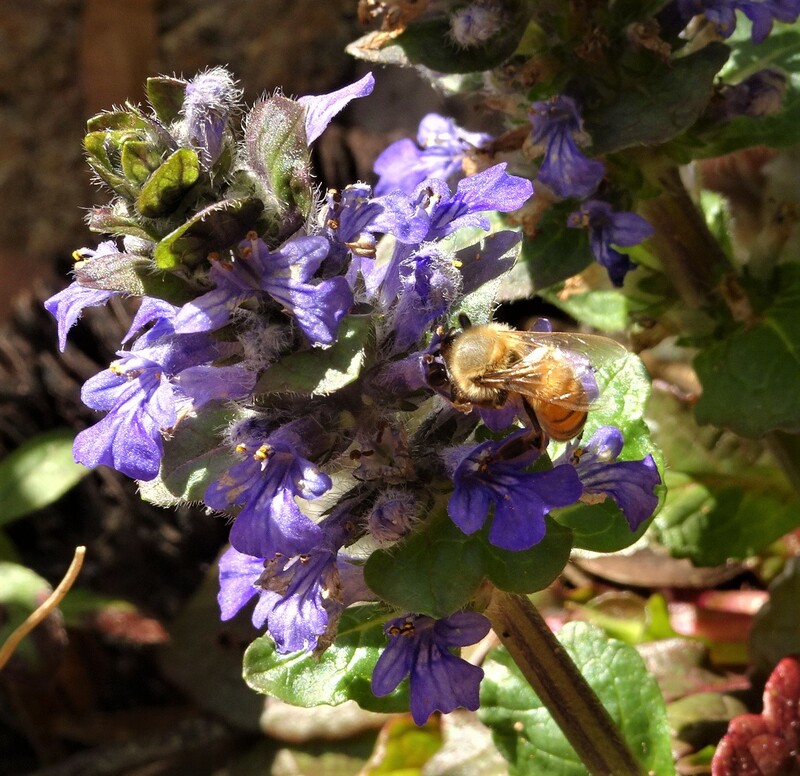 Home → Blog → AJUGA; HERO OF THE GARDEN! 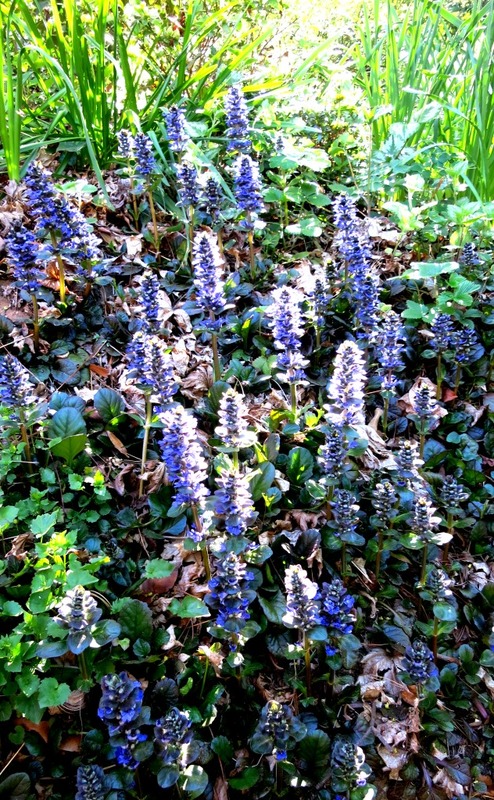 Because much of my garden is in at least semi-shade I grow lots of the shade-loving ground-cover ajuga. Its bronze foliage contrasts well with silver grey lambs ears or dusty miller. It will thrive in the most challenging of locations. 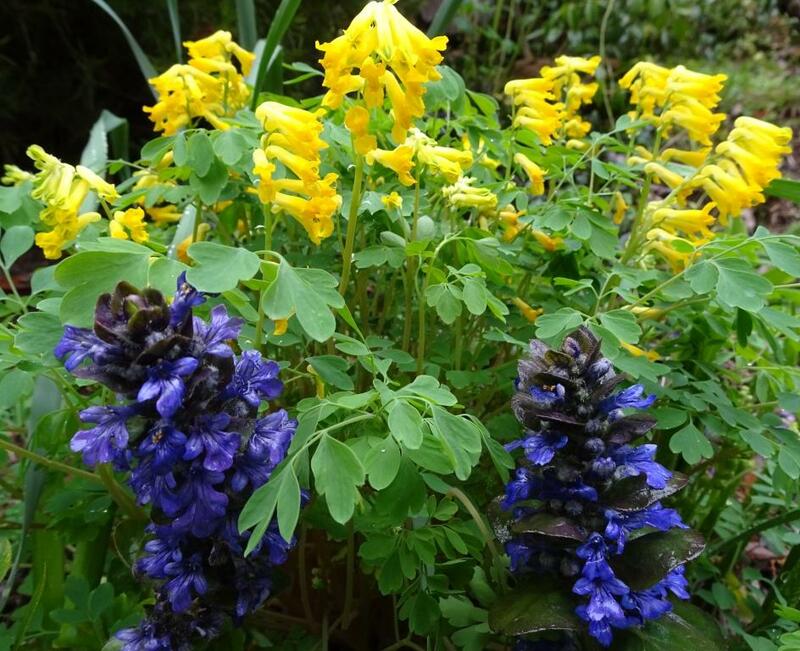 After good spring rain recently the plants have flowered like never before and there are spires of indigo all over the garden. Ajuga is a great plant for a bank. 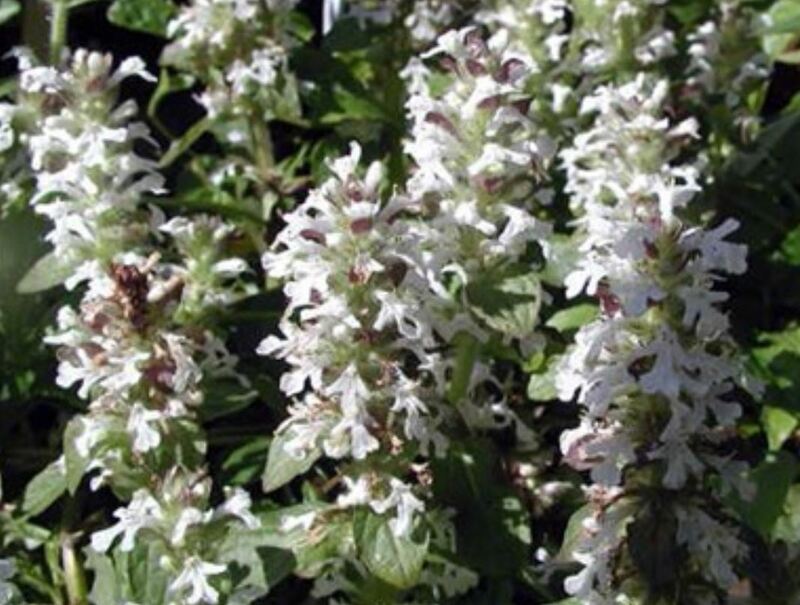 Here is ajuga used very creatively in a landscaping feature. Not by me, and I’m afraid I cannot find the origin of the photo. To my joy the plant attracts birds and bees. 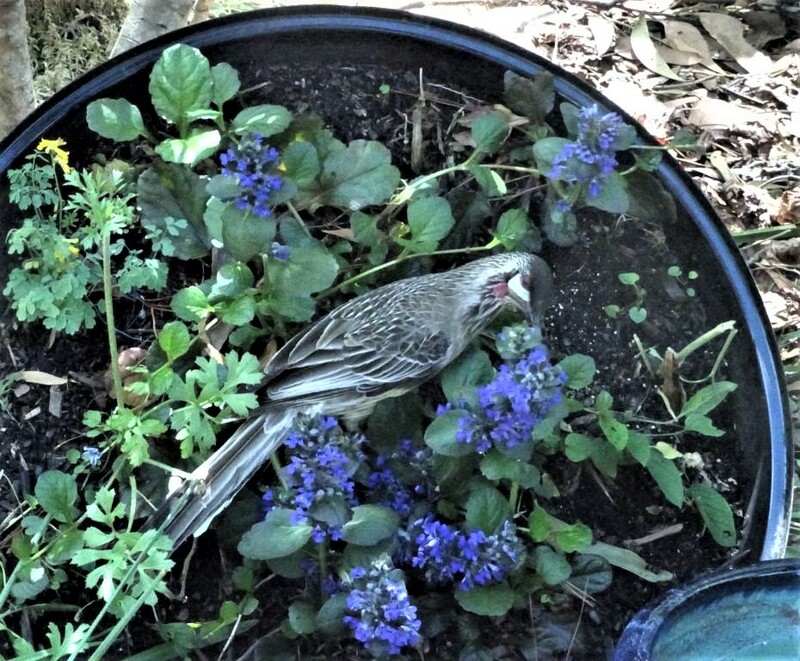 One morning I was walking along the flagstone path and almost tripped over a wattle bird sipping nectar from the beak-high plants. I’m not sure if the bird was naively immature or tipsy, but it was completely unafraid. I also grow it in the cover of an old Weber bar-b-que, where it’s another source of delight for the wattle birds. Sweet treat for a wattle bird. 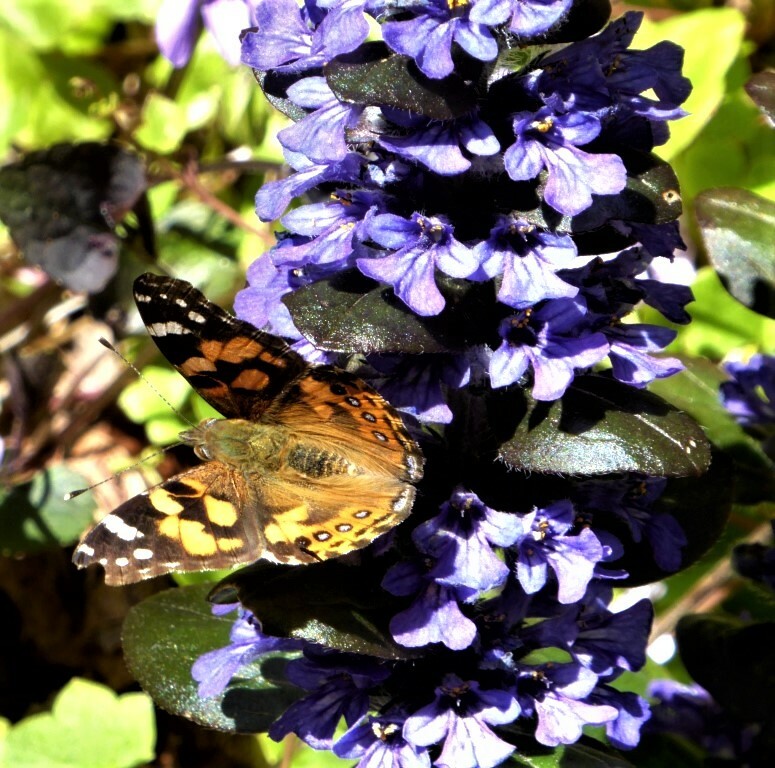 Oh yes, and we must not forget the butterflies. Sadly, familiarity breeds contempt as the saying goes. 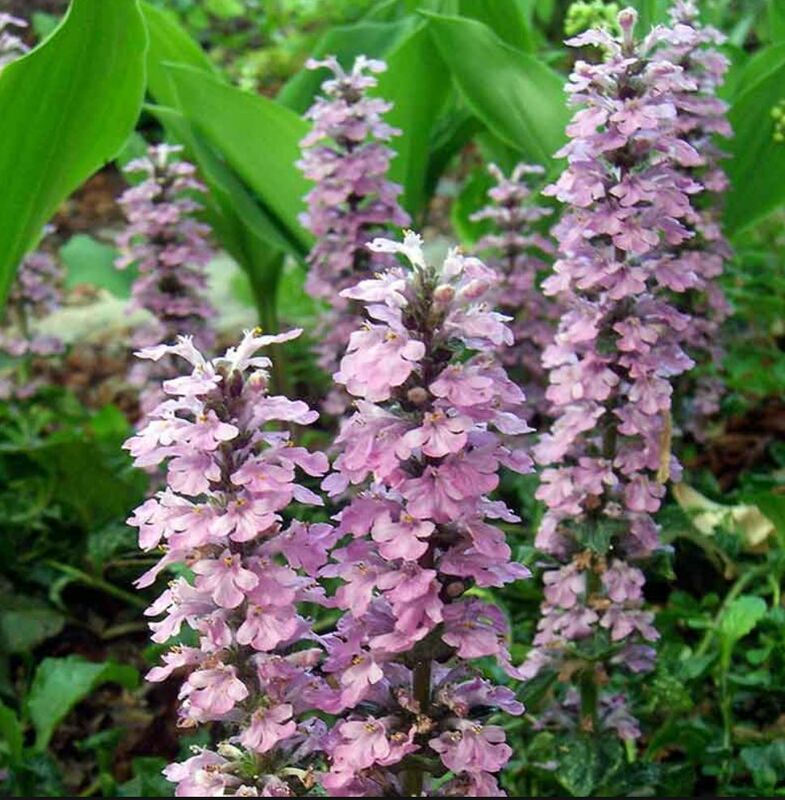 Because this plant is so common and super easy to grow it is very undervalued, though certainly not by me! By the way, there is a pink flowering variety as well as a white one. Lily-of-the-Valley; So Sweet and Gentle.